Vinorel on commission that I have made for a wedding anniversary. 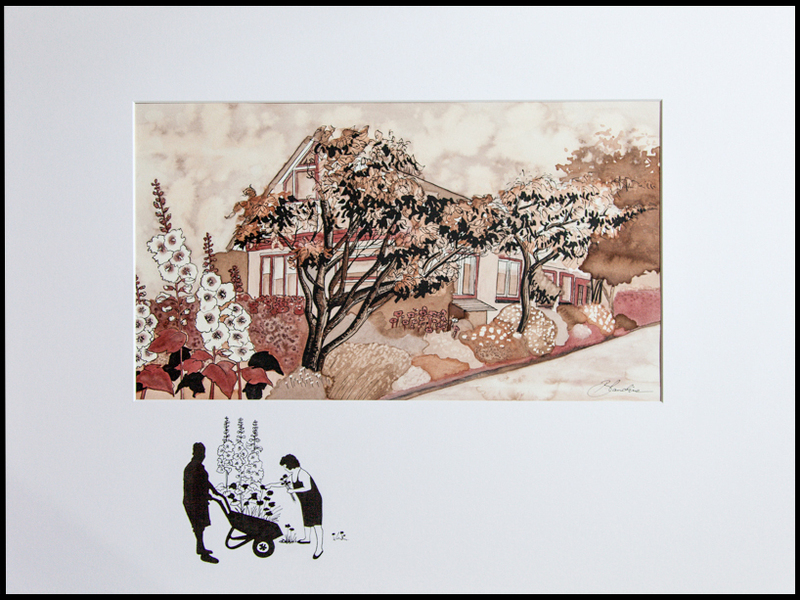 It represents the couple with their house and garden. It is painted with Dutch and French wines because they are living in the Netherlands and a part of their family is coming from France. W&R, I wish you an happy anniversary!